We have growth! 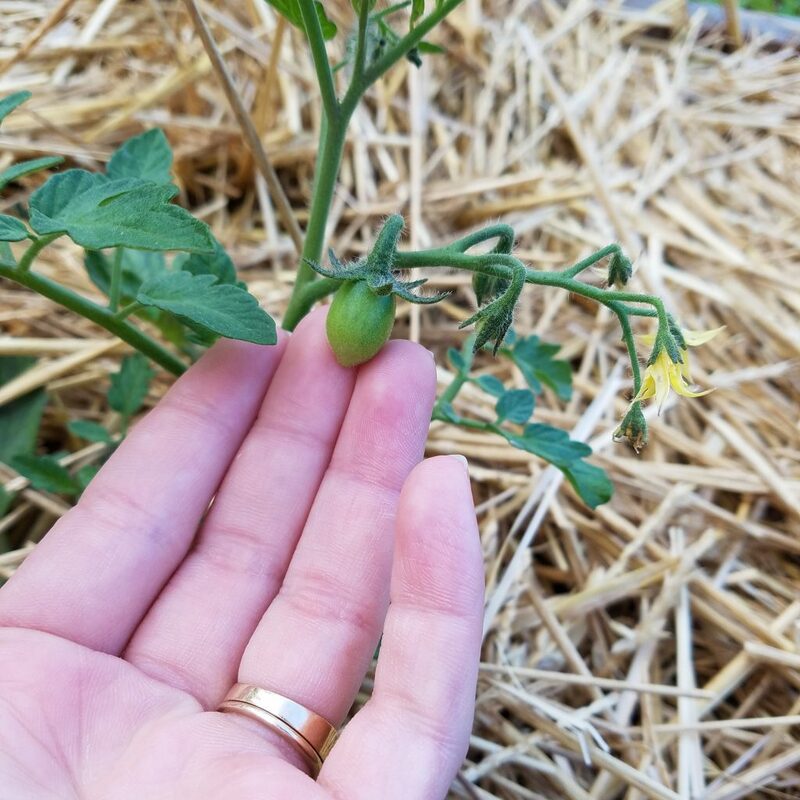 Look at that bitty tomato! We started looking at houses last night. Again. I’m so torn between my house, which I love, and wanting to be on some land so I can truly be the farm girl I want to be. Watching the Little Mr feed Nana’s chickens might be the most adorable thing ever. Being outside and with them comes so naturally to him. One of the hens is brooding and he will shove his hands in the box, pick her up, set her down on the ground and say “no no, Red (that’s her name), go eat!” And she wanders off to eat for a bit before he disappears so she can climb back in. No fear, this kid. Not of animals at least. He loves his little job of collecting eggs and feeding them. I feel like I don’t just want to be in the country – we NEED to be there so we can keep this kid in his element. But… houses in our price range are… well, gross. I can get past dated decor and carpet. But some of these have serious issues. And I’m not sure it is something we want to deal with in our limited time. It doesn’t have to be pretty, necessarily, but I’d like it to be liveable and have some character I can work with (by that I mean there are a lot of manufactured homes and they’re just not what I’m looking for). So we’ll keep looking. And keep plugging away at our savings and debt (which, thankfully, isn’t much) and we’ll keep hoping the right place will come along at the right time. Or we’ll build, which isn’t ideal because it doesn’t seem very sustainable but that might end up being our only choice. Good luck with your house hunting, Marie. And, don’t feel pressured to buy anything until it feels absolutely right. That perfect-for-you house is out there somewhere and when the time is right, you’ll find it!